This week we want to know how your age as a coach has or is affecting your coaching career. Whilst we know that women coaches as a whole are underrepresented in sport, we recognise that within that group, smaller groups of women are discriminated against. Whether it be race, background, nationality or age, women coaches should not be treated as one homogenous group. 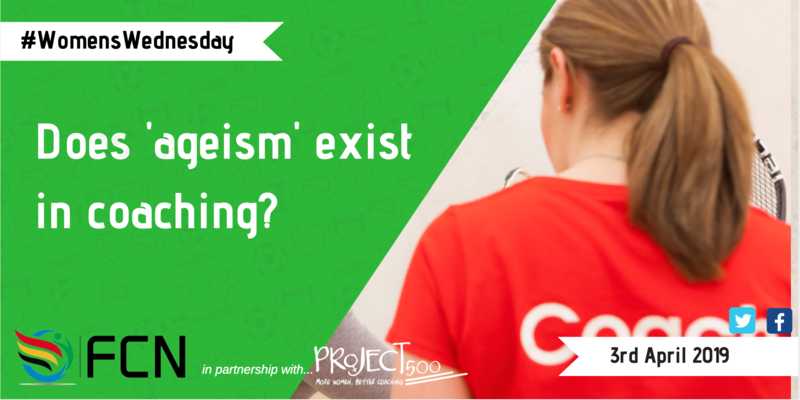 There are no real statistics out there to suggest there is a ‘perfect’ coaching age, or that some ages are discriminated against more than others, but we want to know from you if this is an issue. Do you find you are judged on your coaching ability because of your age? Are you finding your age is a barrier to progressing in your coaching career? Are you the youngest or oldest in your profession? Does this bother you? I started in a female dominated sport at the age of 35 in 2009. I volunteer coached and found it very rewarding. It took me until 2016 to get the prerequisites to take the first level coaching certification. The course wasn’t offered until the next summer but I was fully qualified in September 2017. I was 43. My club, where I’d been participating and volunteering for 8 years, refused to even accept my application and told me they were finished hiring for the year. I asked to be put on the “backup” list and they wouldn’t even do that. Later they hired 3 more coaches in their late teens, one of whom didn’t meet the minimum qualifications. I coach 3 club soccer teams, a high school varsity team, and assist at a college. I am 30 years old but look like one of the players. Coaches and referees would always approach my older male assistant coach assuming he was the head coach. I’ve had referees refer to my assistant coach and I as “ladies”, the same way he addressed the players on the field. I coach do university men‘s volleyball for over 30 years and retired at age 65. Many of my athletes encourage me to keep coaching but the university offered such a good pension plan that it made more sense for me to retire and now I spend my time coaching coaches.